The ideal replacement shower, the T80Z Fast-Fit Electric Shower covers the footprint of most electric showers, and is unlikely to expose any untiled areas or unused fixing holes. 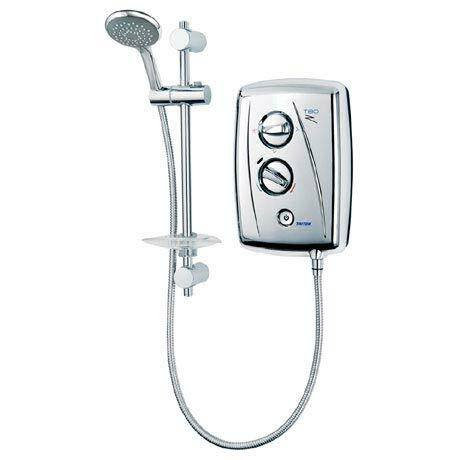 The shower also has a terminal for left and right cabling and a 180° fully reversible swivel water inlet that accommodates water connections from either the left or right hand side of the unit to aid installation. Complete with a contemporary straight riser rail and five spray pattern handset, the T80Z Fast-Fit Electric Shower is packed with design features that will appeal to both the homeowner and the professional installer.